This Lavender isn’t like your grandmothers. Light and earthy, it smells more like grassy flower fields than a heavy perfume. With mandarin & lemon leaf. Avocado butter is rich in fatty acids and is an excellent for moisturizing. 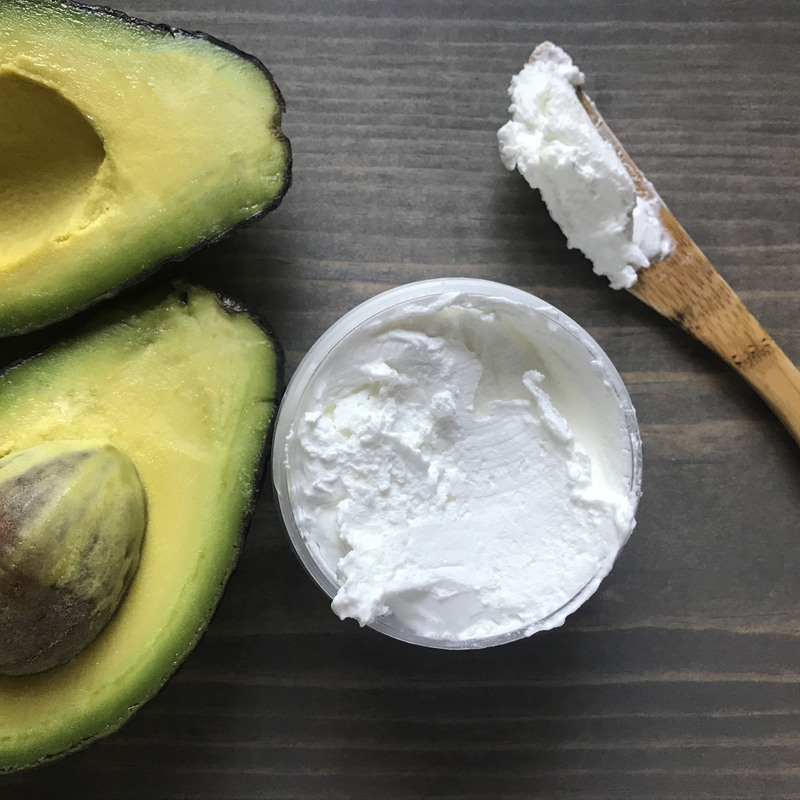 In addition to vitamin E, avocado butter contains potassium, lecithin, and many other nutrients that can nourish the skin. It is soothing to chapped and uncomfortable skin. Whipped to create a soft and fluffy consistency that goes on silky smooth. Mallow extract naturally helps the butter absorb, cherished by the Ancient Romans for its soothing and protecting properties to dry and sensitive skin.